Ex 1.2, 3 In an election, the successful candidate registered 5,77,500 votes and his nearest rival secured 3,48,700 votes. By what margin did the successful candidate win the election? 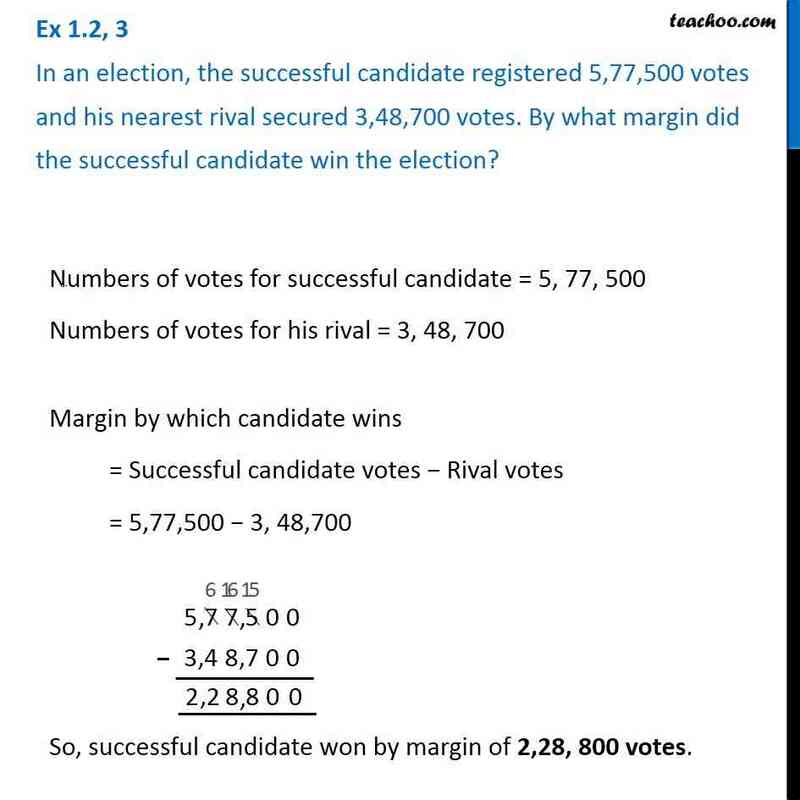 Numbers of votes for successful candidate = 5, 77, 500 Numbers of votes for his rival = 3, 48, 700 Margin by which candidate wins = Successful candidate votes − Rival votes = 5,77,500 − 3, 48,700 So, successful candidate won by margin of 2,28, 800 votes.